Rose medallion was one of the most popular porcelain designs exported from China to Europe and the United States between the 1840s and 1880s. With its dainty design and colorful, decorative pattern, identifying rose medallion porcelain plates, dishes, cups and other tableware is straightforward. You can find rose medallion porcelain at auctions, antiques markets and antiques shops. Familiarize yourself with the rose medallion design and pattern. Consult specialist antiques and art books and guides or look online to research the design (see Resources). Examine the porcelain for the typical rose medallion pattern. This includes panels containing detailed scenes of butterflies, birds and flowers alternating with panels depicting people in a home setting. The panels are arranged in a circle, bordered with a gold strap featuring a tree peony and a bird. Identify rose medallion porcelain by the pattern color scheme. This is usually pastel pink combined with vibrant gold, yellow, blue, red and green. Items with handles, such as cups, may be gilded on the rim or handle, too, although this may have faded with age. 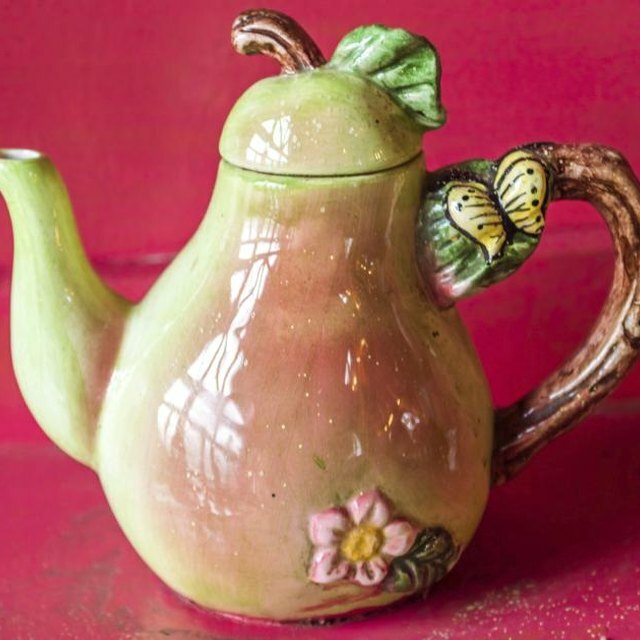 Look for distinctive rose medallion jug and cup handles. The porcelain range includes twisted handles, the braided strap and traditional loop. Some rose medallion tea cups and containers do not have handles. Check the underside of the porcelain for the "Made in China" or "China" stamp in red. However, this applies only to rose medallion cups imported after 1890. Although production of rose medallion stopped in the late 1880s, exports continued until the early 20th century. Older porcelain is not marked.